Patient X 5×13: A conspiracy, wrapped in a plot, inside a government agenda. After a long string of stand alones and a couple of character driven rather than mytharc progressing token mythology episodes, we’ve been overdue for a classic, alien invoking mythology tale. Season 5 is famously short due to filming for The X-Files feature film that was due that upcoming summer so unlike Season 3, it’s not heavily mythology driven. The mythology episodes we do get this season are heavy duty in content, which is probably why we get less of them. That, and with the movie to think about Chris Carter had to pace out his story revelations so as not to give out too much information too soon or so little that the ongoing plot would lose its sense of urgency by the time Fight the Future came along. I love this two-parter because Chris Carter and Frank Spotnitz toe that line well, explicitly confirming more information than I think a mythology episode had ever done before but at the same time opening up a whole new, deeper set of mysteries and twists. The Syndicate members nearly spell out their entire arrangement with the alien colonists and yet now we have these Alien Rebels on the scene that even these experienced men don’t know what to make of. Who are these Rebels and how do they relate to the Alien Bounty Hunters? For that matter, how do the Alien Bounty Hunters relate to the Colonists? Are they a separate race who, like the human Syndicate before them, made a deal with the Colonists to become slaves in order to survive? Are the Rebels a remnant determined to resist both their own enslavement and to prevent the Colonists from repeating the cycle? Chris Carter is too clever to say so in so many words, but it’s sure starting to look that way. It’s interesting that Chris Carter would bring the idea of the Alien Bounty Hunter back when his existence is one of the biggest arguments against Mulder’s current theory that there are no aliens but a corrupt government purposefully perpetuating a myth to cover its own sins. If this theory that Mulder accepted back in “Redux” (5×2) is correct, how does Mulder explain men who can shapeshift? Men who bullets don’t kill? Are they merely byproducts of some incredibly advanced government experiment like the clones introduced in “Colony” (2×16)? One could wonder Mulder how Michael Kritschgau ever convinced Mulder that all he had seen and heard was an elaborate con and if you wondered too hard the plot would fall a part. Mulder’s a smart man. A little too eager and willing to believe at times, but he’s not without any reason. How could he just stop believing after all he’s seen? All I can say is don’t bother questioning it because it’s irrelevant. To argue that there’s too much evidence of alien involvement for Mulder to stop believing is utterly beside the point. Mulder hasn’t stopped believing because there’s enough evidence one way or the other, Mulder has given up the game because he’s angry. He’s angry because whether there are aliens or not, the humans involved in this conspiracy are responsible for abducting Scully, giving her cancer and making her infertile all in an effort to manipulate Mulder and his work. They’ve tried to destroy his only friend to get to him. Out of guilt Mulder wants to distance himself from this sad little history, and out of anger he refuses to be manipulated any longer. That’s why he’s so stubborn over the course of these next two episodes. Scully could point out the odd coincidences between these mass killings and her own abduction to him until the Loch Ness Monster decided to hold a press conference; he’s not budging because he’s bitter. And Mulder isn’t the only character holding grudges. It would appear that Krycek still isn’t over the Syndicate arranging a car bomb in his honor because he’s made it his mission to wrest power from their white, wrinkly hands. He’s not alone either and Marita Covarrubias is finally given something interesting to do in helping Krycek double cross the Syndicate an then double crossing the double crosser, ditching her lover and taking his hostage, his leverage, for her own. They’re each playing both sides, manipulating the situation to their own ends. What exactly those ends are remains obscure, but probably it’s to tip the balance of power in their favor. Why should the Syndicate, like Robber Barons, have all the fun? Putting them together is a smart twist. I wouldn’t quite call The X-Files an ensemble show, but I can’t deny that part of its success came from a strong cast of supporting players, each bringing a complicated history into the mix. Not only did this keep Mulder and Scully more interesting by giving them something to play off of and a more sinister sandbox to play in, but it prevents the audience from getting bored easily. Yes, I look forward to every moment Mulder and Scully are onscreen, but even when they aren’t the supporting characters are so interesting that they only serve to make Mulder and Scully’s scenes more enjoyable by creating a more gripping plot for our two leads. Veronica Cartwright is marvelous here giving a performance that got her nominated for an Emmy award. Her character, Cassandra Spender, is a much sweeter, politer, and psychotic version of Season 2’s Duane Barry so it’s interesting that she brings him up to Mulder at their first meeting. What she says is just as crazy sounding, she just says it in a more palatable voice. And the aliens in her testimonies of alien abduction are liberators not sadists. Then how could we ignore the introduction of her son, resident weasel Jeffrey Spender? There’s something both clever and frustrating about the way Chris Carter throws his character into the fray since he and Mulder become antagonists more through a series of I Love Lucy style misunderstandings than anything else. Perhaps if Mulder had bothered to defend himself he would have made one less enemy, but then, Mulder may have traded his alien theories for slightly more mainstream views, but he still enjoys being the resident rebel. He could care less if Jeffrey Spender likes him or not. It’s a great start to what will develop into a long and very complicated relationship. Some fans feel that the mythology began to fall off around Season 5 and took a nosedive in Season 6, but episodes like this make me beg to differ. There’s action, intrigue and ridiculously sophisticated special effects. So what is there to complain about? I think Mulder and Scully’s characterizations in Season 5, their complete reversal of positions, are a stumbling block for many. If Mulder’s unwillingness to believe is slightly puzzling, the quickness with which Scully accepts Cassandra’s story is a mystery of Ellery Queen proportions. Scully has believed for a long time that “these men” were responsible for what happened to her, but she’s never before attributed her abduction to aliens and nothing she sees here would be enough to convince Scully on her best day that there was something intergalactic going on. Again, as with Mulder, if you try to rationalize her motives here you’ll give yourself a headache. And yet, the reversal of positions between Mulder and Scully, him becoming the skeptic and her the believer, are not as arbitrary as they seem on the surface. For Scully, we can only assume that the chip, the homing device in her neck, is somehow telling her heart what her brain can’t understand. She instinctively seems to know that Cassandra’s story has merit, it’s not a reaction based on overwhelming evidence. I don’t think Chris Carter did any of this for kicks. 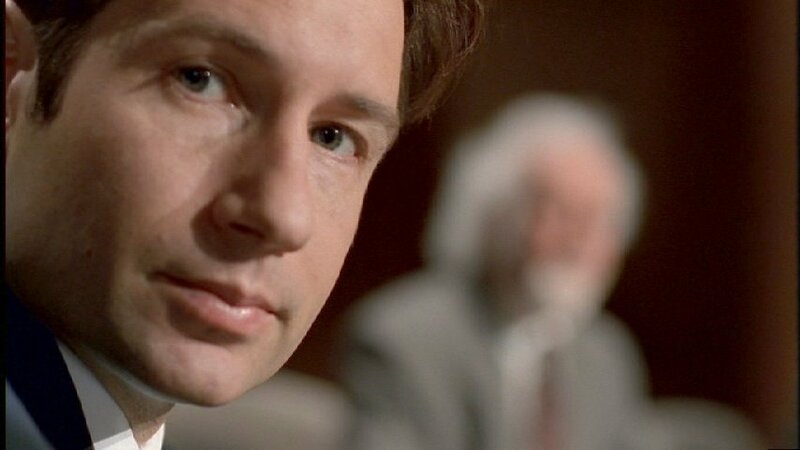 Mulder’s doubts, his dark night of the soul, was a necessary development for his character whose arrogance and gullibility without regard for the consequences to him and his partner couldn’t be allowed to go unchecked for ever. Mulder needed to be mad at himself. It shows a sense of self-awareness that’s been a long time coming. And it shows that his feeling of responsibility for Scully has come to supersede the quest that it grew out of. As far as Scully’s transformation, if we can even call it anything that dramatic, it allows Chris Cater to put her back on the frontlines of the mythology and confirm suspicions for the audience without expressly revealing anything to the two leads and so bring the show to a close. 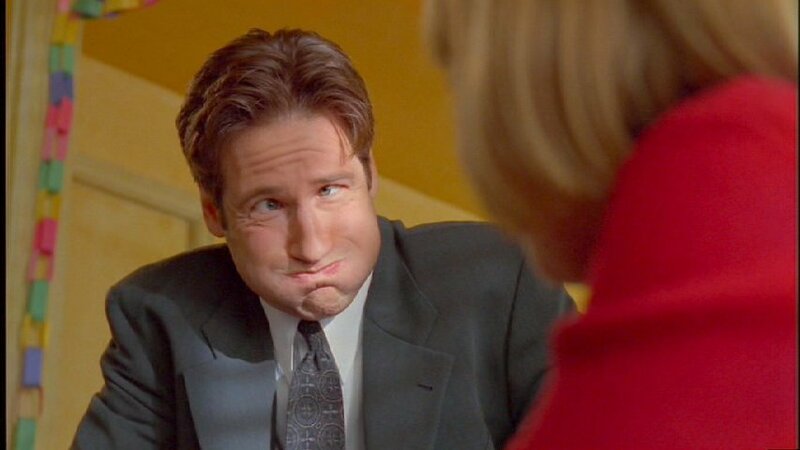 Will Mulder make an about face? Will Scully still have a face after the Rebels get to her? I guess we’ll have to watch Part 2 to find out. There are early hints here of the future “aliens as God” story arc – both in the panel that Mulder attends and in the obligatory heavy-handed opening voiceover. We finally get a good look at Dr. Werber who we only saw briefly at the end of the “Pilot” (1×79). How are the Alien Rebels able to summon the abductees using the Colonists’ technology? Mulder’s a little too disinterested in these mass gatherings of abductees. Even if these people are delusional, even if they’re in a cult, couldn’t the government be behind these killings and wouldn’t he want to expose the conspiracy? First Elder: What does Krycek want? Marita Covarrubias: I don’t know. Second Elder: How do we find out? Krycek: [Over the phone] Well, look who’s answering the Bat Phone. 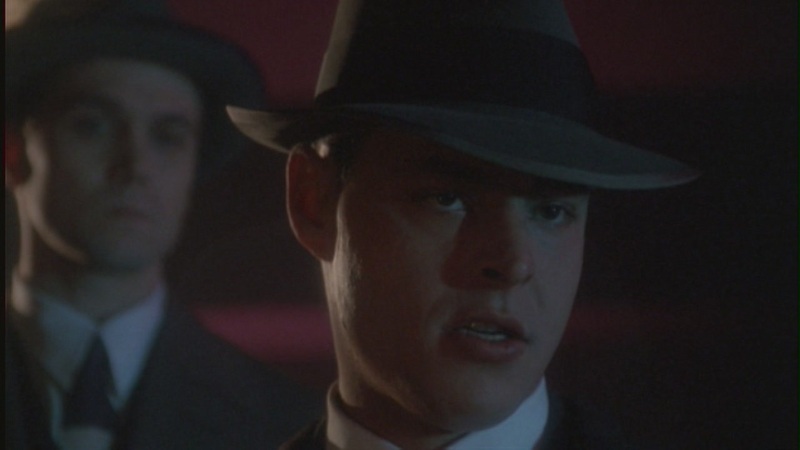 Krycek: Those guys too cheap to offer you a pension plan? Mulder: Do I look like I’m having fun, Scully? Scully: Mulder, why are you tiptoeing around the obvious fact here? I mean, this is Skyland Mountain. We’re right back here on Skyland Mountain. Mulder: And you think it’s related to your abduction from the same place? Scully: Well, you can’t deny the connection. Mulder: You think this is some kind of an abduction scenario? Scully: No. I’m not saying that. Mulder: Do you have any evidence of that? Scully: What do you mean by evidence?